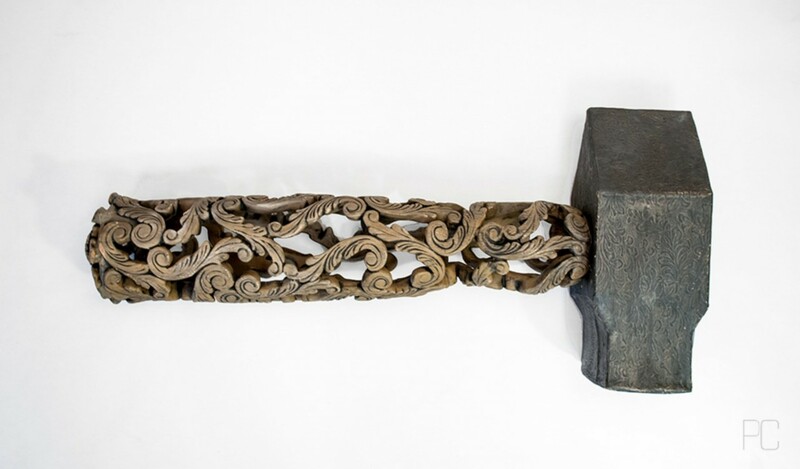 The ACC is pleased to announce the revival of Coming Up Next; our national exhibition of emerging Fine Craft. Coming Up Next celebrates the creativity, innovation, and skill, of emerging artists entering the field of contemporary Craft in Canada. The exhibition will be curated to feature a cross section of Craft disciplines and is open to submissions from artists whose path to Craft may have began through apprenticeships, mentorships with elders, those who are self taught or who received a formal post secondary Craft education. If you are within the first five years of your career in Fine Craft, or the last year of studies in a Fine Craft discipline you are eligible to enter. This national call is free to enter, with an online submission of up to 5 images of work available for the exhibition dates. Works produced in any of the craft media: clay, fibre, glass, metal, wood, or any combination of craft media, and completed within the past two years will be considered. 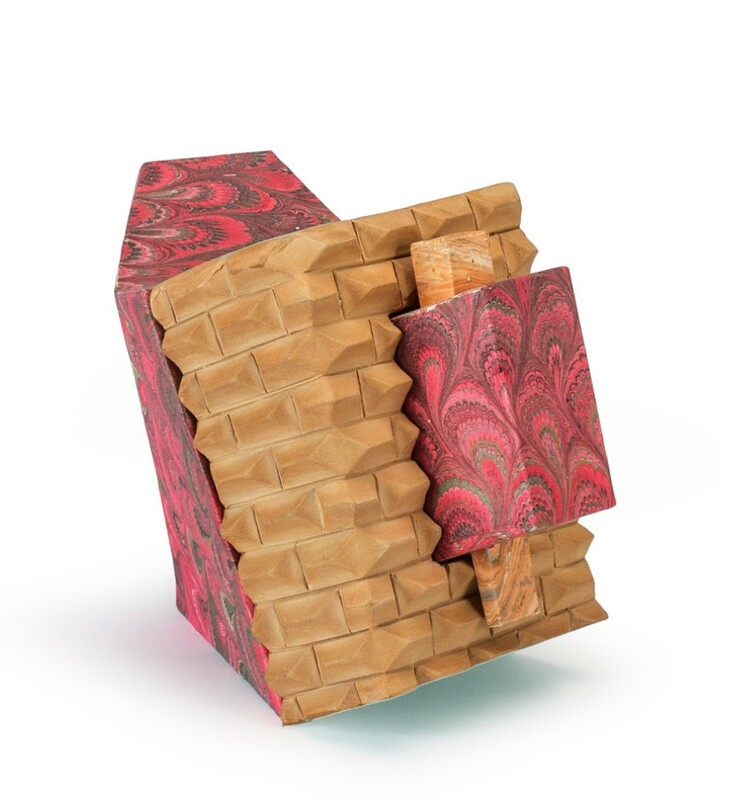 This exhibition will launch at the Alberta Craft Council Discovery Gallery in Edmonton (June 15 – August 3, 2019) as part of Edmonton’s Works Art and Design Festival. It will also travel to our Alberta Craft Gallery – Calgary (August 31 – November 2, 2019). Artists pay shipping to the ACC, ACC pays return shipping on unsold items. 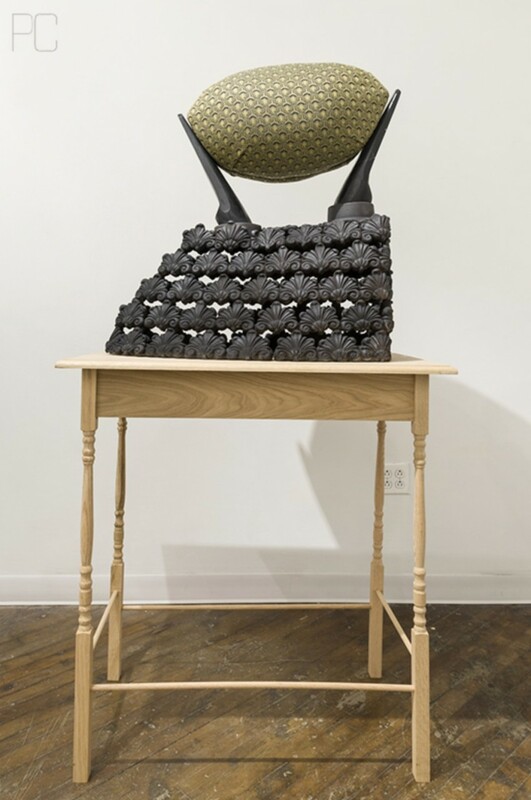 Curators in Contemporary Craft, is a new program to allow members to develop their curatorial skills as part of our ongoing efforts to create professional development opportunities for Craft artists and engaging exhibitions for our audiences. Expand your career in a supportive environment with access to mentorship from professional curators and organizers in the Fine Craft field. Are you sitting on an exhibition idea that you would like to bring to fruition but are unsure of the steps to take? This is your chance to develop those skills needed to curate an exhibition with the support and experience of the Alberta Craft Council Exhibitions team. From start to finish, the ACC team will be there to guide you through the process; from honing your theme and concept, coordinating artists, developing press releases and promotional material, gaining skills in laying out and installing an exhibition, to writing an article for the Alberta Craft Magazine. 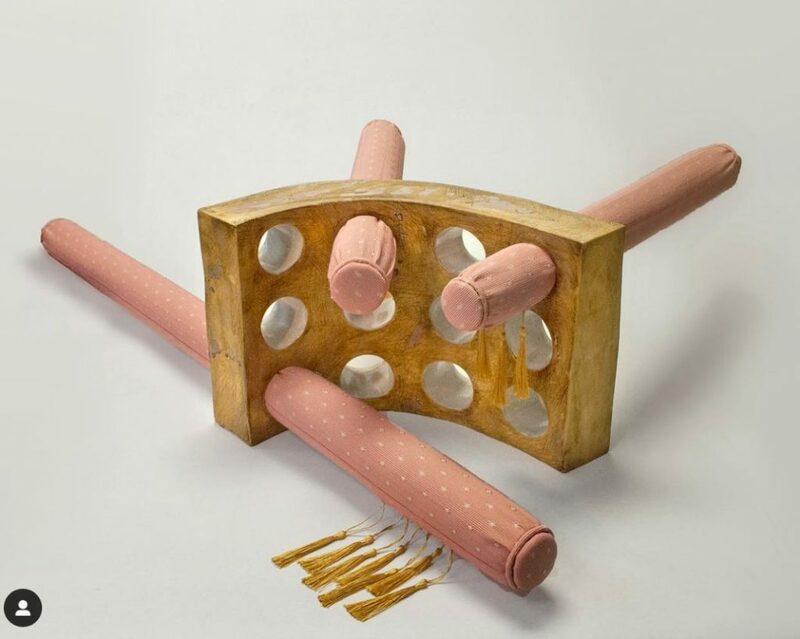 The Alberta Craft Council is calling for exhibition proposals for the 2020 line-up at the Alberta Craft Discovery Gallery. 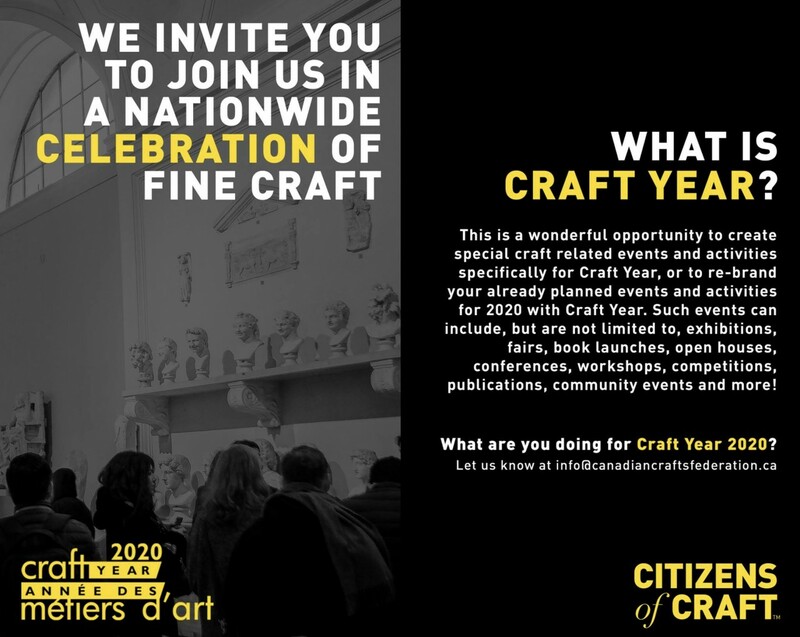 It is going to be an exciting year, as we begin programming for the ACC’s 40th Anniversary, and Craft Year 2020 the nation-wide celebration of craft organized by the Canadian Crafts Federation and Provincial Craft Councils. The Exhibition Team is looking for fully-developed exhibitions and themes that highlight mastery in craftsmanship, feature new work, push the boundaries of craft, and/or celebrate the achievements of our members. Our public exhibition galleries are dedicated to showcasing work by emerging, mid-career, and established craft artists. The proposals can be for individual or group shows. 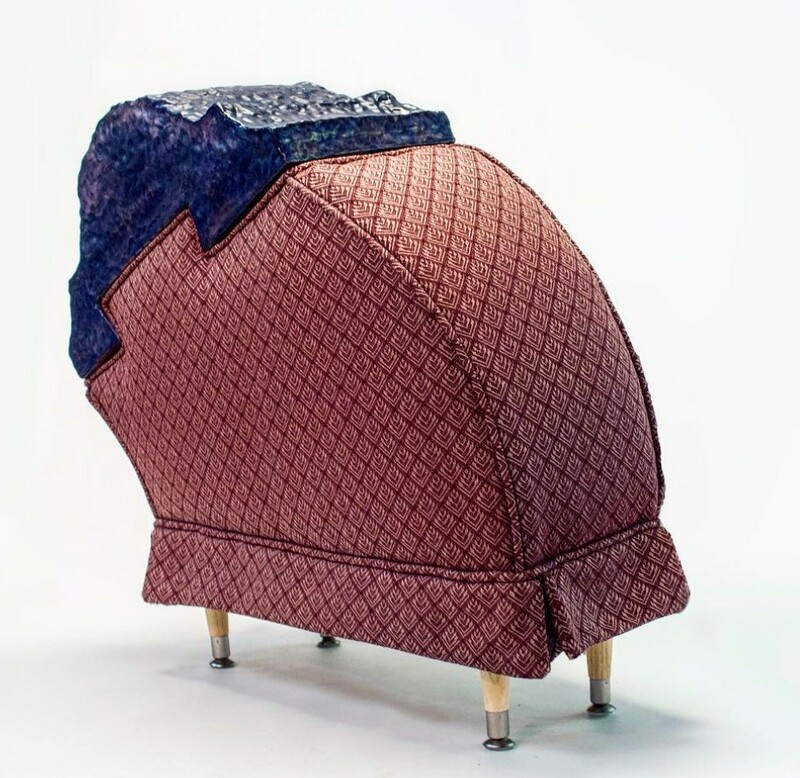 The Alberta Craft Discovery Gallery strives to present innovative and dynamic exhibitions that challenge perceptions and inspire the public to discover the best in contemporary Fine Craft. This 436 sq. foot gallery is located on the main level of the ACC’s Edmonton location and features 7 exhibitions per year, several of which travel to our Calgary Gallery. Each exhibition is accompanied by an article in the Alberta Craft Magazine, invitations, online promotion, and an opportunity for an artist talk or interactive demonstration plus reception. 3 – 5 high quality digital images, measuring at least 1000 pixels in width or height of work to be presented in the exhibition. CARFAC fees will be paid to artists, approx. $848 Per ACC Discovery Gallery Solo Exhibition. Work can still be available for sale at the current 60% consignment to artists. The Artist in Residence Program through the Ceramics Program, Office for the Arts at Harvard, offers dedicated artists the opportunity to involve themselves in research and growth, pushing their art in new directions in a dynamic, urban studio connected to the Harvard community. Individuals will have the opportunity to build relevant skills in research, professional development, technical ability, creative problem solving, teaching and community involvement through our Artist in Residence Program. Paid teaching opportunities within the program for both community and academic based classes. Application can be submitted via hardcopy or provide us with a link to files in a folder labeled with your name on Dropbox or Google Docs to kking@fas.harvard.edu. image number_first initial_last name (example: 1_j_smith.jpg, 2_j_smith.jpg, etc.). Images will be used for promotional purposes upon acceptance to the program. Corresponding image list. List should address each image by number in terms of: title, year, size of work, medium/techniques used. List of 3 references – please provide, name, title, mailing and email address and telephone. April 15, 2019 – Notification will be made via email. April 30, 2019 – Selected artist must accept or decline the residency. All interested individuals are welcome to visit the Ceramics Program prior to application and or acceptance. To arrange a visit and receive more information, contact Kathy King, Director or call 617-496-4751.